Welcome to the Green Initiatives Staff Team! number of environmental education opportunities for UUA staff, and we are going to begin with a recycling center tour in Charlestown. Stay tuned for more information about what we hope to do and how we can accomplish it together. 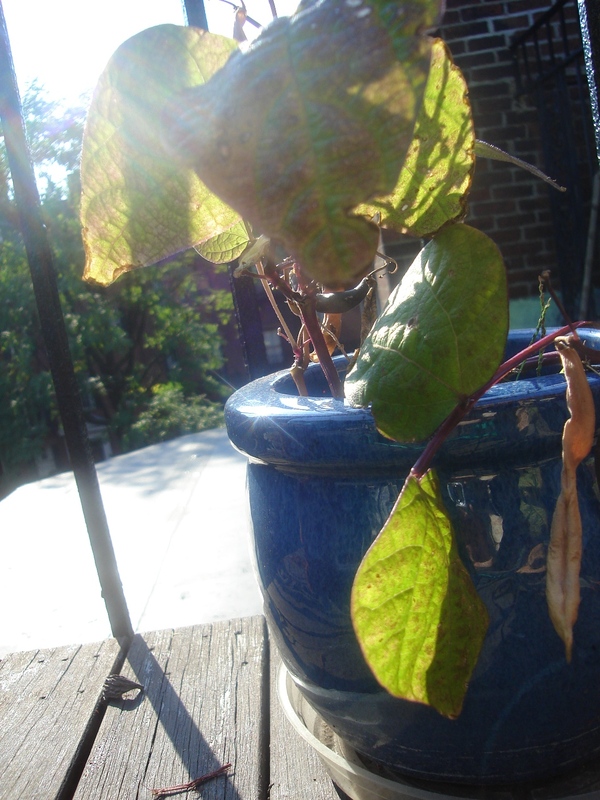 Potted green beans on the porch of P&E… see our about page for more information on them! I like the green bean exercise because we can physically see the “fruits” of our labor/actions “blossom” into something.